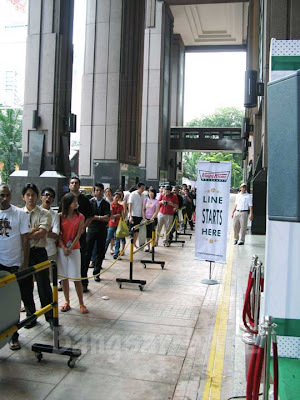 When Krispy Kreme opened on the 27th April 2009 in Berjaya Times Square, rif queued up to get me some donuts (I was at work). Pictures are taken by rif, and text is quoted from him. 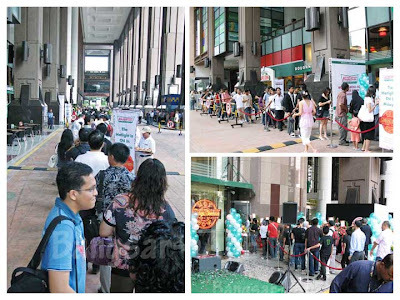 awwww so sweet…i wonder if ppl can just get full eating free donuts and walking off without having to queue..
the queue got shorter and shorter for the rest of the day. by 9.30pm, there was nearly no line! 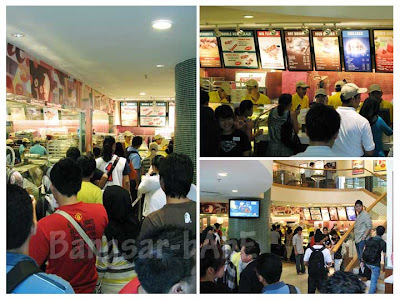 I was there around 2 something and the queue is not that long. 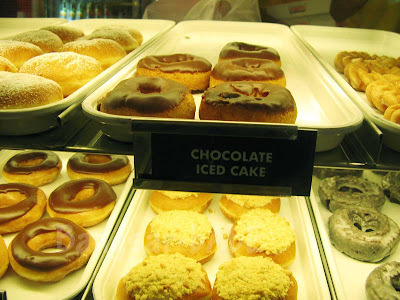 I don’t like cause the donut is very sweet for me but is really really soft. very very sweet rite?? but i do like the pillowy soft texture! The queue is simply scary. 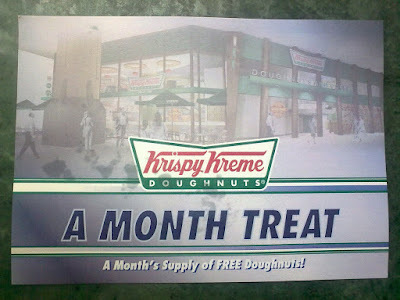 wow, ur fren gave u her 1 month supply of donuts!!! 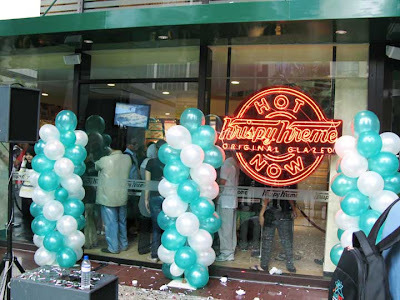 Lucky you, having one so SWEET to queue up for Krisy Kreme for you. Early-adopter, eh! I haven’t had mine yet… hmmm. Julian – Yes, I’m very lucky! Why haven’t try? Very busy, eh? Selba – It’s only on the first day. I was there today, and there was just a small queue at the counter! 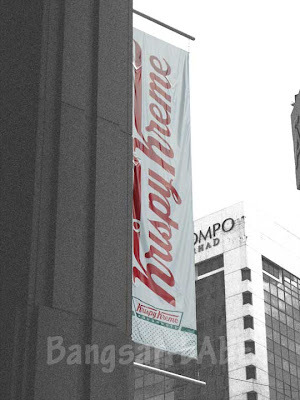 Sapuche – It was the first day, so the line was exceptionally long. When I tried it in UK, it wasn’t that sweet. 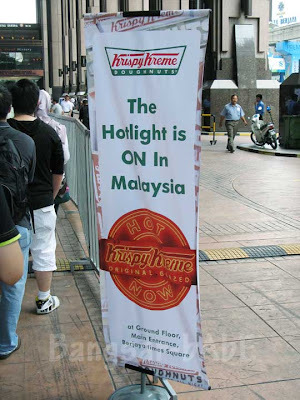 I’m not sure why the ones in Malaysia are sweet. 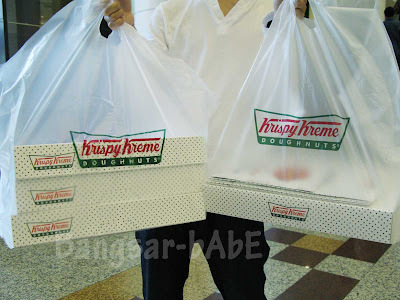 Wow, you really are a donut freak. 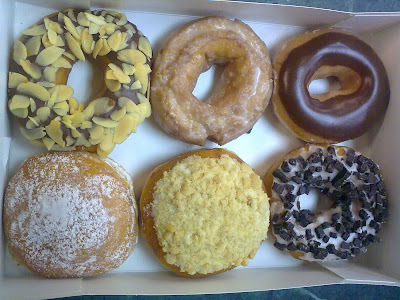 :p Thanks for the Big Apple donut last Friday. 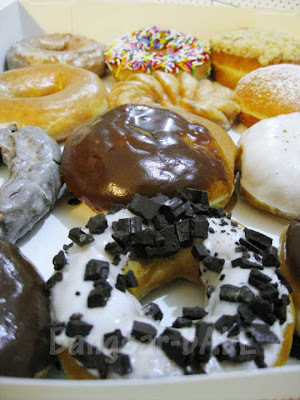 I am also a donut freak. 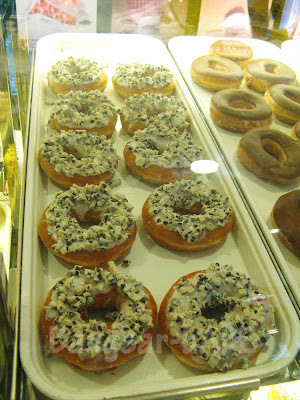 I used to love JCO donuts so much that every trip when I go to KL , I would definitely go there. 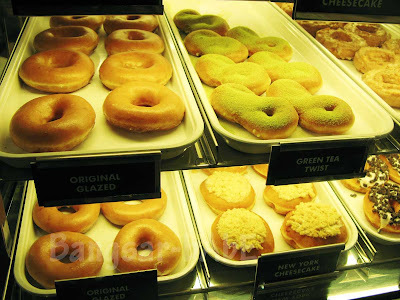 Is Krispy Kreme better than JCO? 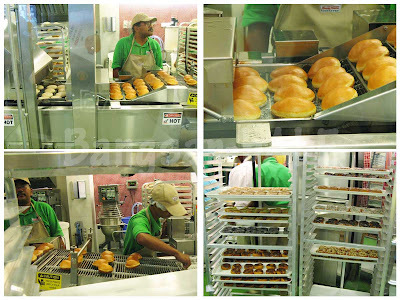 My Taste Heaven – I like Krispy Kreme better. 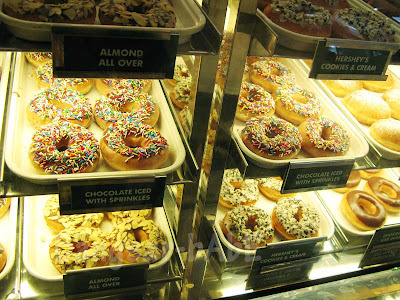 But if you don’t like your donuts too sweet, then JCo is a better option! 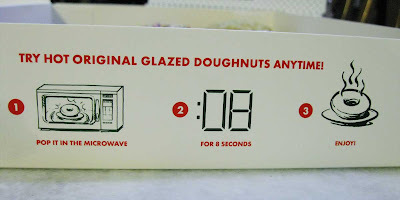 foodbin – I’m a donut lover, Krispy Kreme especially so I think it’s good! 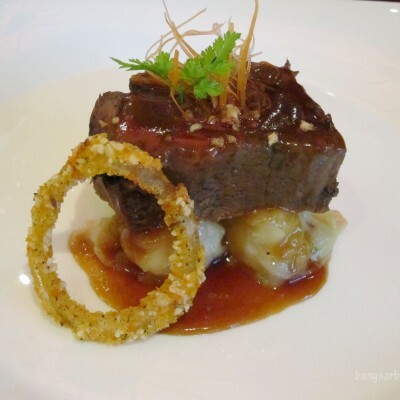 thenomadGourmand – Very! Some flavours I just can’t eat! 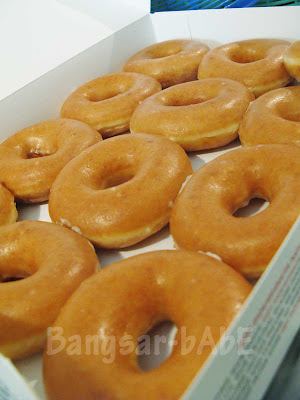 jenny – Yeah, I found the donuts sweeter than usual, it’s not usually this sweet in UK. 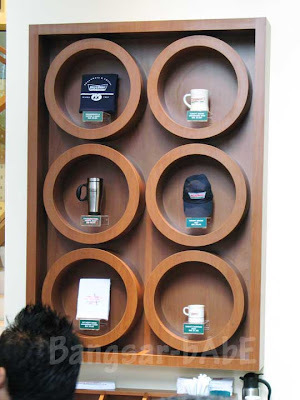 Sean – I guess the novelty was gone by then! aww so sweet! 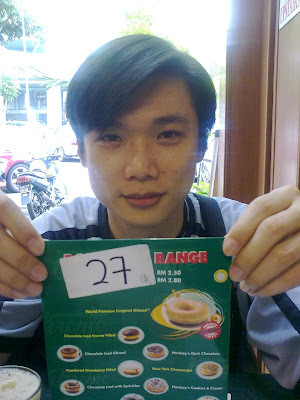 i dun really fancy KK as i aged (haha)..my tolerance for sugar has came down tremendously..
gosh! the queue is super long. 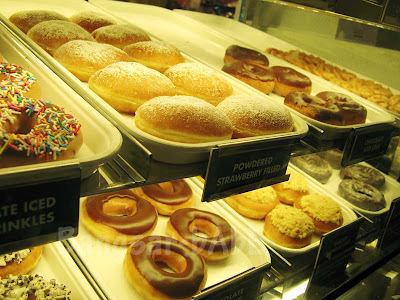 so, which is the best among all the donuts?? ?